According to the Associated Press, the body of August Provost III, 29, was found in a guard shack Tuesday at Camp Pendleton, near San Diego, California. Rose Roy, Provost's aunt, believes her nephew was murdered and she doesn't think the military is telling the family the entire truth about what happened. Relatives say there is evidence to indicate Provost was attacked because he was gay. Roy says a friend of Provost called her and said when Provost was found, his hands and feet were tied, he was gagged, shot three times and his body had been set on fire. He was found early Tuesday morning in a guard shack when another person showed up to replace him on duty. His aunt says he was proud to serve in the Navy. He had been in the military for two years and was stationed at Camp Pendleton near San Diego. Roy says he went into the military to help pay for the remainder of his college education. He had already completed three years, studying to become an architectural engineer. Navy spokesman Capt. 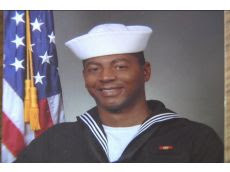 Matt Brown, described Provost as "a rising star in our Navy," who entered the service in March 2008. He had completed basic training and subsequent technical schools and was beginning preparations for overseas deployment. Thanks Rebecca for shedding some light on this story. This is the first I have heard about it and will continue to follow up on it. When will this mindless hate ever stop! 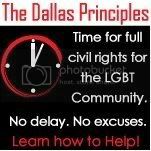 Unfortunately the hate is going to continue long after we achieve full rights. So far the military officials are saying it was a random act, however he had been harrassed and threatened recently by other "soldiers"